I’ve heard this a couple of times before. 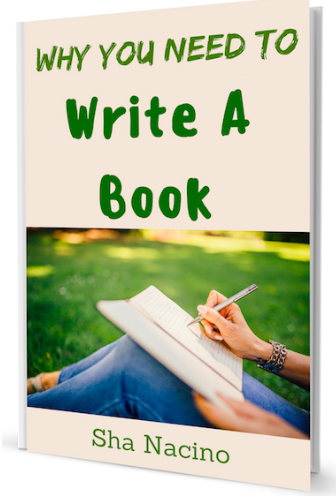 I believe that many people want to write a book at one point in their lives. Yet, only a few actually become authors. You or wanna-be authors you know of may have the same hesitations and doubts. And when you don’t clear out these doubts, then your dream of becoming an author stops before it even began. I was able to clear the doubts and I gained confidence to write my first book. But even if I had the confidence to write a book, I still encountered so many setbacks. I didn’t have the luxury of time to write because I was working full time and I was involved in some outreach activities. There’s one more obstacle. I wasn’t really a writer, and I’ve never considered myself a writer. Yet, sheer determination and passion helped me write and publish my first book Think Rich Yuppies. It took me two years to write my book! And then I thought about it. Had I done something differently, would I have written the book in a shorter span of time? Would my journey towards becoming an author been a bit easier? And the answer is a big YES!!! There’s something I missed out. You see, it was my first time to write a book. I didn’t have any structure. I started from scratch. I didn’t have any author mentor who guided me closely. I wrote the book using trial-and-error method. 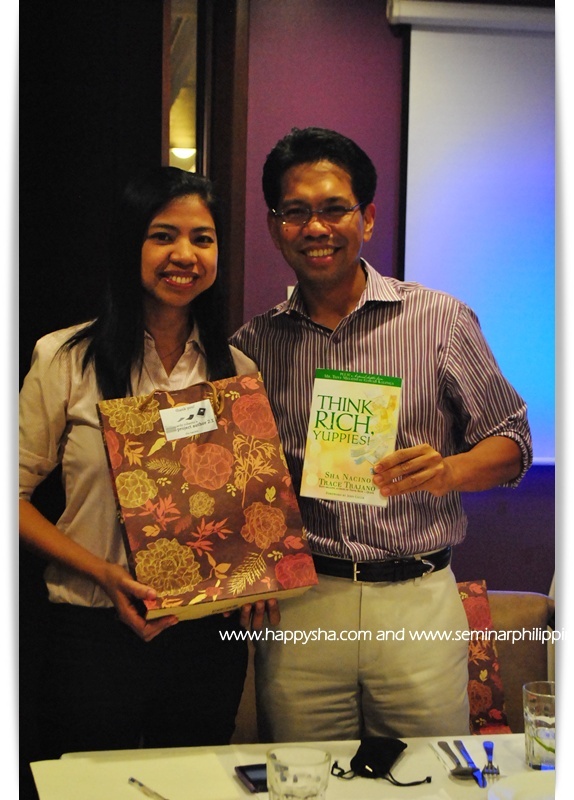 A few months after my first book was published, I met Ardy Roberto (he was one of the speakers during Money Summit 2011 where I was also invited as a speaker). I heard about his Project Author classes. It’s a very good venue for wanna-be authors to be guided with book writing and book publishing. 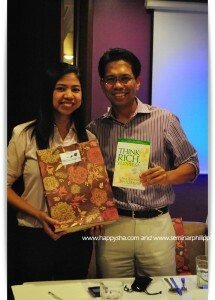 In March 20, 2012, I was invited by Ardy to share my Author Story to his Project Author class. It was a worthwhile and inspiring experience for me. 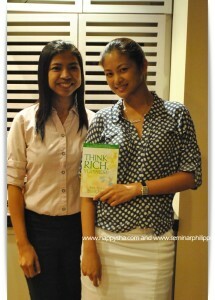 One, I had the chance to talk to Ardy, best-selling author I look up to. Two, I was star-struck to see Miriam Quiambao in the class. She bought a copy of my book which I autographed for her. Three, I felt humbled and privileged to see many other inspiring people who were part of the class. Before I shared my story in front of the group, we had a colloquial conversation over dinner. I heard that most of them were able to write their books in a span of weeks or even days! Whoa! My two-year pace was a far cry from their pace. Their competitive advantage was that they had the mentoring and guidance of Ardy Roberto, a best-selling author whose book Ang Pera na Hindi Bitin sold over 400,000 copies nationwide! 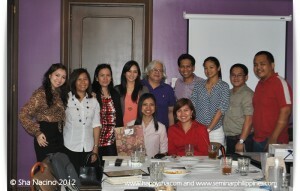 Not only that, these would-be authors had the privilege of meeting publishers and authors. And there’s more! Since they meet every week for a couple of months, they influence and support each other. My friends, if you’ve been wanting to write your book, don’t miss this chance of being mentored by one of the best-selling Filipino authors. Becoming an author is not just about writing books. It’s also about touching lives. Becoming an author also gave me opportunities to meet interesting people that I admire like Bo Sanchez, Tony Meloto of Gawad Kalinga, Heinz Bulos, Ardy Roberto, and many more! It also opened doors for me as a speaker when I got invited to speak before companies, school, seminars, and different groups of young professionals. 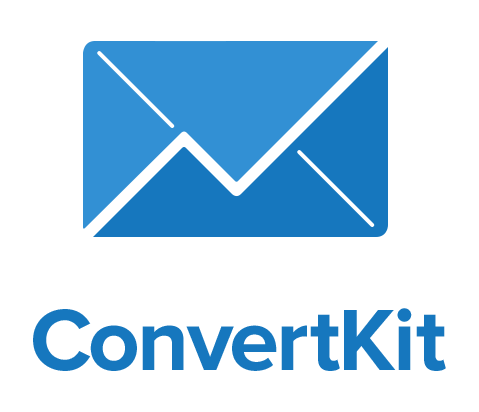 What message have you been wanting to communicate to the world? What’s stopping you from writing your book? What will help you launch your book? 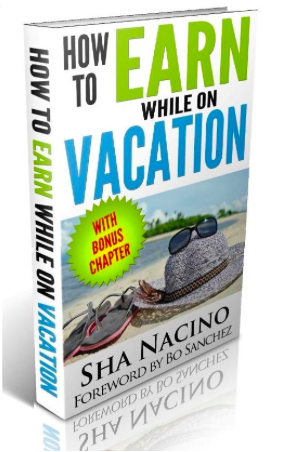 How to Earn while on Vacation eBook – written by Sha Nacino with a Foreword by Bo Sanchez. 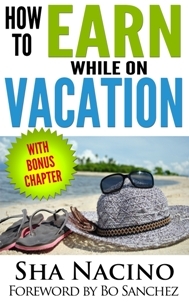 This ebook talks about how to earn passive income, how to get paid doing what you LOVE to do, and many more. 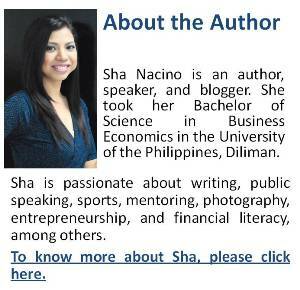 Download your copy and be part of Seminar Philippines’ growing community, it’s FREE! Bo Sanchez’ Truly Rich Club – gain financial wealth and spiritual abundance at the same time. Receive digital copies (audio CD/eBook/eNewsletter/emails, etc) of Bo Sanchez’ Power Talks, Wealth Strategies, eBooks, monthly Stocks Updates, daily positive inspiration, and many more! 2 Responses to Do You Want to Become an Author?